Synopsis: Graceling meets Beauty and the Beast in this sweeping fantasy about one girl's journey to fulfill her destiny and the monster who gets in her way-by stealing her heart. I am always hesitant to read books that are really hyped up. This is one of the reasons that I took so long to read Cruel Beauty. I was worried that it wouldn't live up to all of the hype and I was going to be disappointed. I shouldn't have worried though because Cruel Beauty was even better than I could have ever imagined. I am a sucker for Beauty and the Beast retellings ever since I read Beauty by Robin Mckinley when I was younger. Cruel Beauty isn't a complete retelling of Beauty and the Beast but it has a similar arc to the classic story. 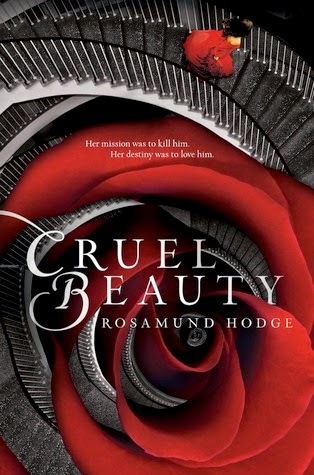 Overall I LOVED Cruel Beauty but I did have some small issues that I want to get out of the way so I can gush. I felt like the ending was a little rushed. I wish it had more of a slow burn rather than a fast a furious finale. I also had a few issues with the lust at first sight aspect to this book but neither of these things dampened my love of this book even a little. The world building in this book was incredible. I am huge fan of fantasy and I love seeing how a world is developed. This book was exquisitely crafted. No huge info dumps or anything like that. Just a slow release of information when the time called for it. Nyx was a great character. She undertook the situation as I could see a real teen dealing with it. She had actual feelings and didn't just go along with what was happening to her. I like when a character gets angry and has real reactions to the things that are happening around her. I think everyone who likes fairy tales should read this amazing retelling! Today I have the pleasure of having Lindsay Smith the author of the Sekret duology stop by to talk about the second book Skandal, which came out on Tuesday! What is the weirdest thing you have done in the name of research? My Google search history is probably pretty terrifying! I’ve looked up everything from LSD overdose symptoms to the blood content of the average human body to hyper-obscure Russian manufacturing plants that existed in a strict window of time for research. (Actually, I think my most recent one involved trying to figure out which kinds of cyanide were least likely to result in a successful suicide attempt.) I like to take pictures of unusual buildings, textures, and scenes in nature for future reference—I’m a very visual person, but it helps me evoke the other senses if I can look back on a particular time and place. What is the thing that made you fascinated with Russia? I loved poring over my grandparents’ old National Geographics and leather-bound atlases as a kid, and I was fascinated with how the Soviet Union turned into the Russian Federation and an ever-subdividing mix of former republics in such a short period of time. As a young kid, I thought it was so cool that this country that had been something of a forbidden land to my parents’ generation was now wide open, and I wanted to learn all about it. As I got older, I really fell in love with the poetry in the Russian language, and the cycle of tragedy and triumph in Russian history as the major players constantly fought against nature, their enemies, and themselves. What was the major difference between writing Sekret and writing Skandal? 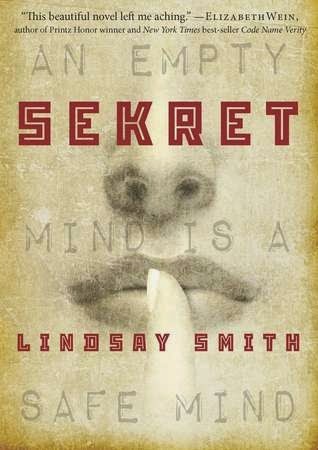 Sekret required a lot of hard work of the sort I’d never done before, as a debut author—shoring up the worldbuilding of how the psychic abilities worked, quintuple-checking my sources, and honing everything to a sharp edge. Skandal was hard in the way sequels always are (how do I make it bigger and better while also still making it a bit more of the same?). But I’d also gotten a lot of the hard up-front work done—I knew my characters and world and what they could do, so I just had to put them in new and painful situations! Which one of your characters do you relate with most/ which one do you like writing the most? I definitely sympathize with Yulia, because I’m pretty stubborn, just like her! ;) Yulia’s father, though, was the most fun to write in Skandal. He was just the right mix of charming and dangerous, sweet and sociopathic, that he was always surprising me. And, of course, I love Valentin for his shy sweetness, intensity, and passion for music. Thanks so much to Lindsay for taking the time to answer my questions. Here is more about the first book Sekret. Learn more about the first book in the duology, Sekret. 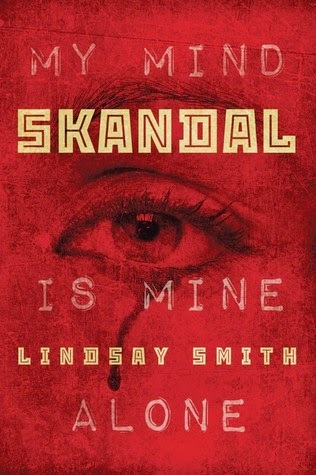 Add Skandal to your to-read list on Goodreads. Join in on social media with #Skandal. Visit Lindsay’s website, follow her on Twitter, and follow her on Tumblr. Enter to win a copy of Skandal! US/Canada only, and the winner will have 48hrs to respond or a new winner will be picked.